In a setting where men buying comics in spandex suits and capes can be found every few feet, one would rarely think serious conversations about literature could take place. 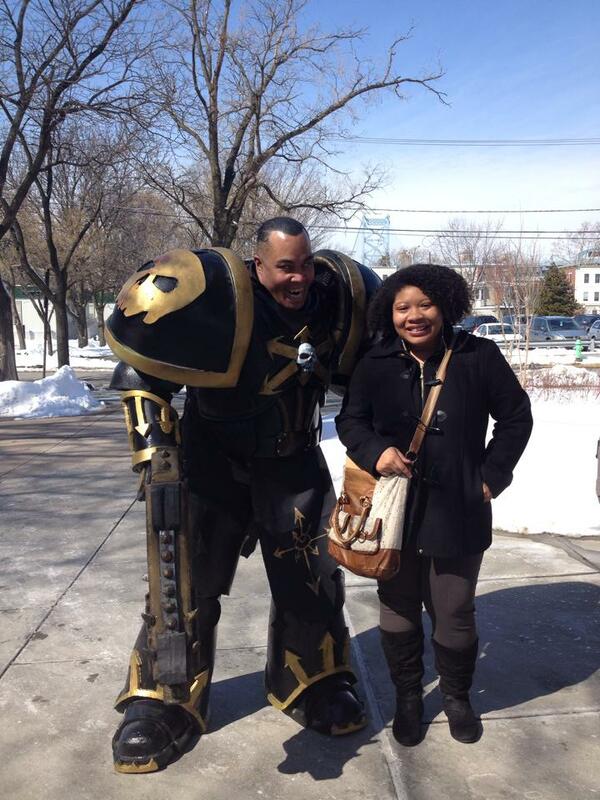 However, that was one of the wonderful, defining aspects of the 2015 Camden Comic Con. 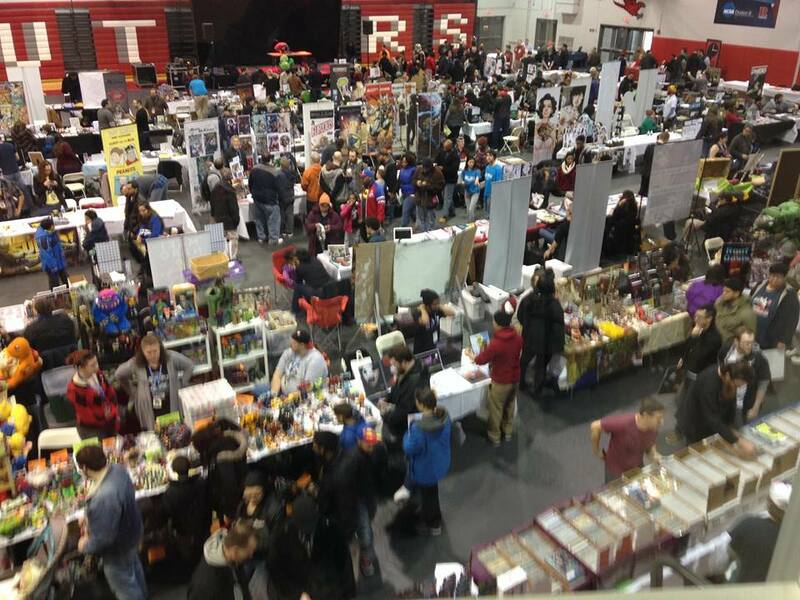 The Rutgers Camden Athletic Center housed everything from the comic vendors, the costume contests, parades, and also the Camden based food cart, Black Eyed Susan’s, which was selling Comic themed treats such as the She-Hulk sandwich and the Hawkman roll. Across the quad, the Campus Center held various “academic” lectures which spanned from topics about female mentorship in The Wizard of Oz (or the lack thereof if we’re discussing the movie) as well as dystopian government in science fiction and fantasy. I found this physical gap between comic culture in the gym and graphic novel culture in the Campus Center interesting. It seemed indicative of the long, sometimes nasty, history of defining literature in a world where some categories are held in higher opinion than others. Cartoonist Scott McCloud (who will hold a presentation at Rutgers- Camden in April) wrote, “Comics, like other minority forms, are vital to diversifying our perceptions of our world.” In filmmaker and instructor, Robert Emmons’ panel, “Reinventing Comics: Ulysses Seen,” he explains Ulysses Seen is a project created by Robert Berry in which the unabridged version of Ulysses is put into comic book form in order to create “not a Cliffnoted version of Ulysses” as copyright lawyer for the work, Chad Rutkowski, emphasizes, but a “window into another type of understanding.” In other words, the work is attempting to diversify our perception of Ulysses, in the same way that the term “graphic novel” is attempting to diversify our opinion of what literature is and what comic books can offer. This connection between two separate panels at Camden Comic Con made me aware of what was important to a community of writers who dedicate their lives to “sequential storytelling,” as Alex Simmons termed it. Ultimately, what’s important is spreading awareness about the comic book genre, engaging with people who love literature and introducing them to the comic book, and through this process, helping people to “diversify their perception” of what literature and art can be. 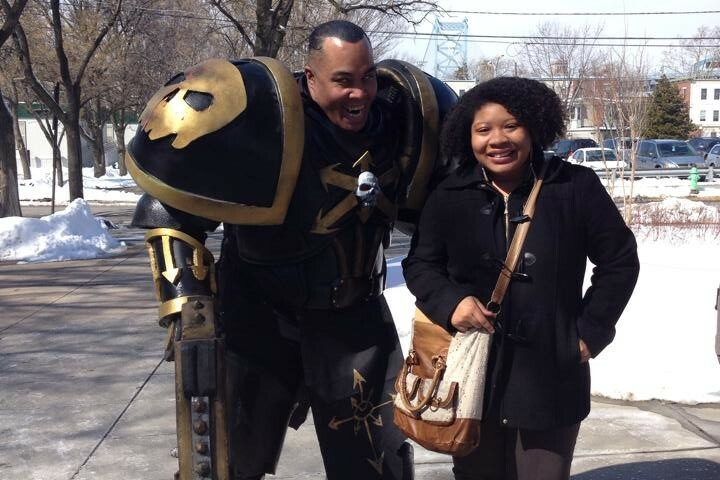 It is vital to diversify, to create a society where parents can introduce their children to comic books, and continue the storytelling tradition.